Breakfast in hotel then pick up to visit the Sultan's Palace, Bait Al Zubair Museum. 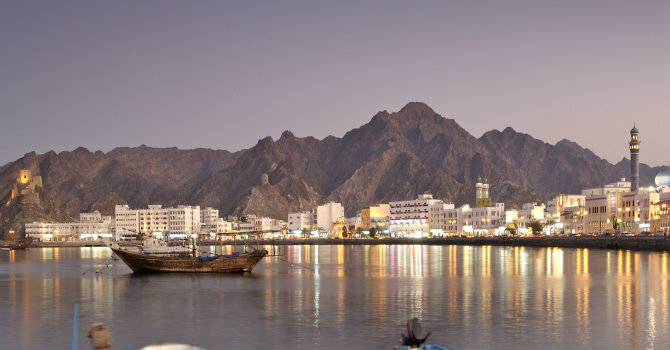 Continue to the Corniche area to Sultan Qaboos port and Muttrah souk. Photo stop at Sultan Qaboos Grand Mosque then drive back to the hotel and overnight. Relish a cruise ride with a life time opportunity to wander the dolphins in Sidab. Dolphin in Oman coast are seen the year round, it makes thrilling show as they swim around and under the boat in search of Sardine, tuna and mackerel.